You Me At Six's album, VI, will be released Oct. 5. You Me At Six announced a new album VI and released two new songs off of it that are guaranteed to be stuck in your head. BBC Radio 1 premiered the tracks, “Fast Forward” and “3 AM.” Those songs take more of an alternative pop approach, but other tracks on the album will include a more electronic dance and a heavier rock feel. You can listen to the two new songs below. VI will be released Oct. 5 in partnership with Underdog Records and Awal. You Me At Six’s co-produced the record for the first time ever. You can preorder the album here. You Me At Six released their last album, Night People, more than a year ago. It was the band’s fifth studio album, and you can stream it here. 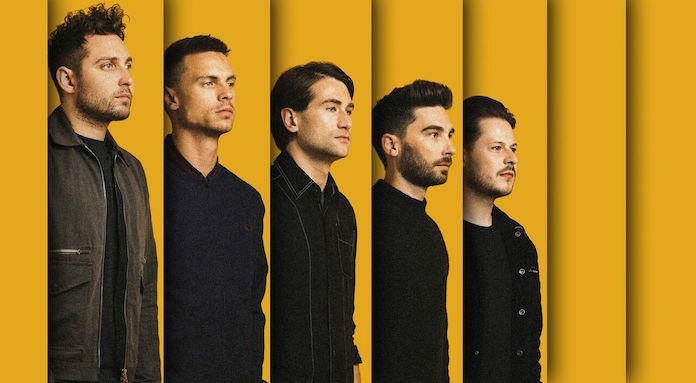 You Me At Six have been teasing the release of the two tracks and the album announcement on their website and Twitter with a countdown clock to get fans excited. The band will appear at a few festivals in the U.K. this summer, and you can check out all of the tour dates below. You can also check out the full tracklist for VI below.